New York and London trained with Stott Pilates. Jane trained as a dancer, initially classically and then encompassing all dance genres. Following three years at dance college she worked professionally in musical theatre and commercially for ten years. Her pathway changed and she moved abroad to a Greek island, where she opened and ran a vegetarian restaurant. Injury brought her back into the body world with the discovery of Pilates. Converted by this amazing method of working with the mind and body, Jane trained to become an instructor with the internationally renowned educators, Stott Pilates, firstly in New York and subsequently here in the UK, training in both the matwork and with all the studio equipment to the advanced level, including pre and post natal and injuries plus special populations, completing and certifying her training in 2004. She moved back to London at the beginning of 2007 in order to enhance her teaching skills in a more stimulating and vibrant environment. This enabled her too, to regularly attend courses and workshops	not only in Pilates for personal and professional development, but also in other exercise modalities and related therapies, like ballet sculpt and fascia release work. 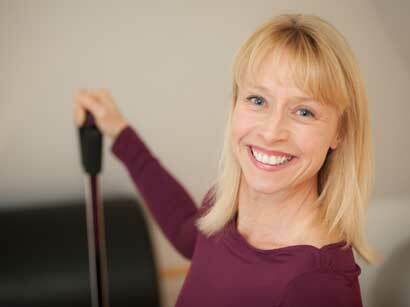 Since then she has been teaching full time in various fully equipped and busy Pilates Studios in London. A lifestyle change beckoned, which has brought her back here to her home town of Poole and to opening her own studio. Jane has completed a two year Yoga Teacher Training Course with DRU Yoga and looks forward, where appropriate, to incorporating elements of yoga too into her teaching. She is consequently now also available for private and duet yoga sessions. The miracle that is the human body requires us to constantly explore and learn about its incredible structure and subtleties of movement. Taking the principles of Pilates and the techniques learnt in your session for your body, then utilising and adapting them to your habitual activities and functions is the key element to how Jane believes this method of movement benefits everyone everyday.